I promised you a good look at the stunning Lancome Artliner 24H in Sapphire, so here it is in all its big blue glory. Yes, it is a bold color meant to be seen and admired, but it's also very pretty and flattering against warm skin tones and brown eyes. It's a statement eyeliner, for sure, but it can be worn judiciously (as opposed to 80s style). A thin line along the lash line with perhaps the lightest flick upwards adds just the right amount of fun to an otherwise neutral look. Lancome Artliner 24H is an excellent liquid eyeliner. 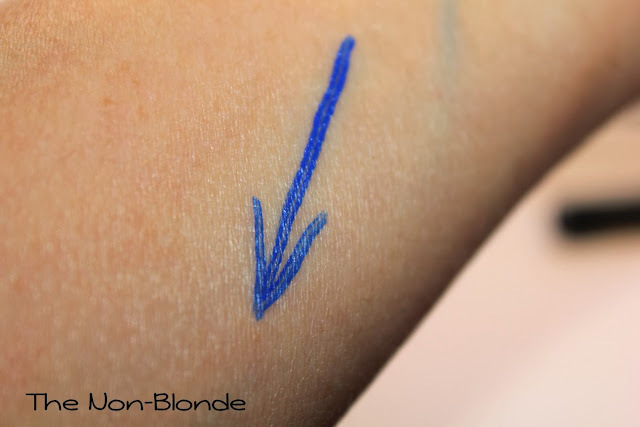 The applicator is easy to use and manipulate (it's a sponge arrow-like thing, not a brush). The consistency of Artliner 24H seems to vary slightly between colors. 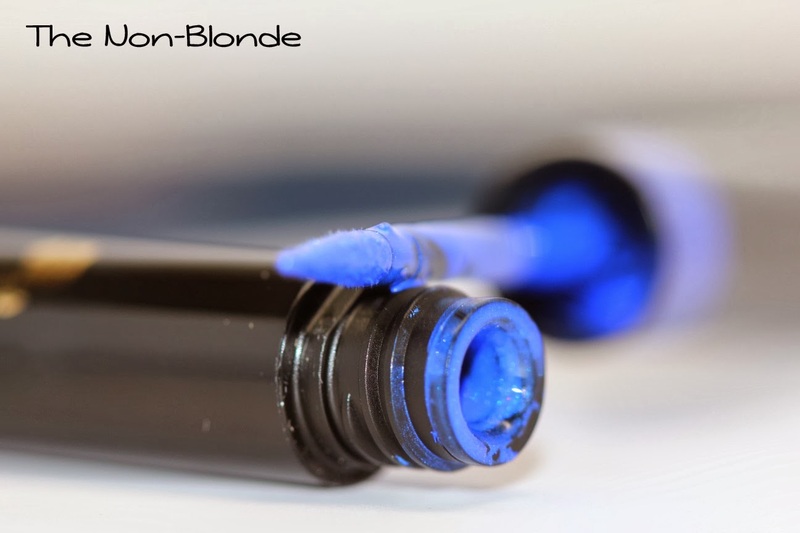 I find Sapphire to be quite wet and runny, which requires wiping the tip good and well on the rim of the tube before applying. The first time I used this eyeliner I got quite a bit of product on my lashes (making me yearn for a sapphire blue mascara). I got the hang of it quickly, though, and have been enjoying it since (without getting strange looks from anyone). 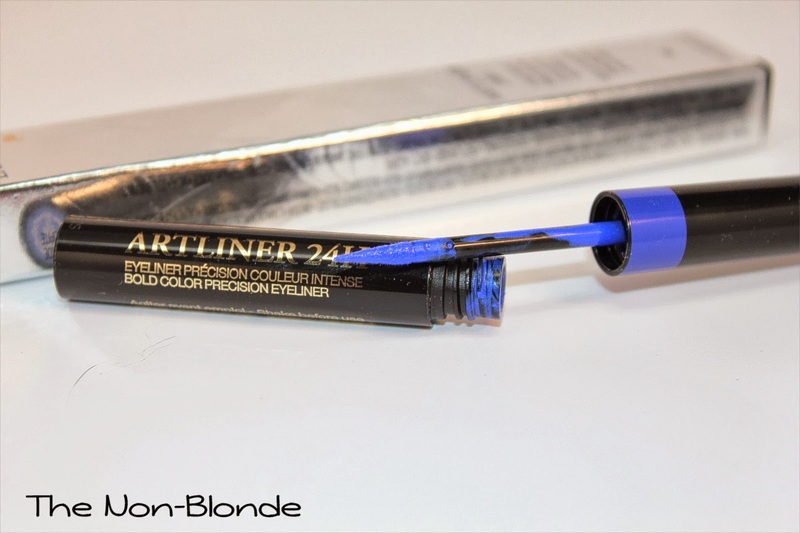 The longevity of Lancome Artliner 24H is impressive. To say that it doesn't budge is an understatement, though I've noticed some darkening of the color itself after 12 hours or so. If you apply a thick and wide line using a lot of product there is some flaking after about 16 hours, but you will still need to saturate the lid good and well with a makeup remover to get all of it off. So, yes, maybe a 24 hour longevity is a bit of a stretch, but we're not very far off with this one. Bottom Line: worth your time, money, and lid space. Lancome Artliner 24H ($30) in Sapphire is available at the counters, Sephora, Ulta, and lancome.com. I would get it all over my eyelid, just because I'm a klutz with liners like these. It's a beautiful blue though!